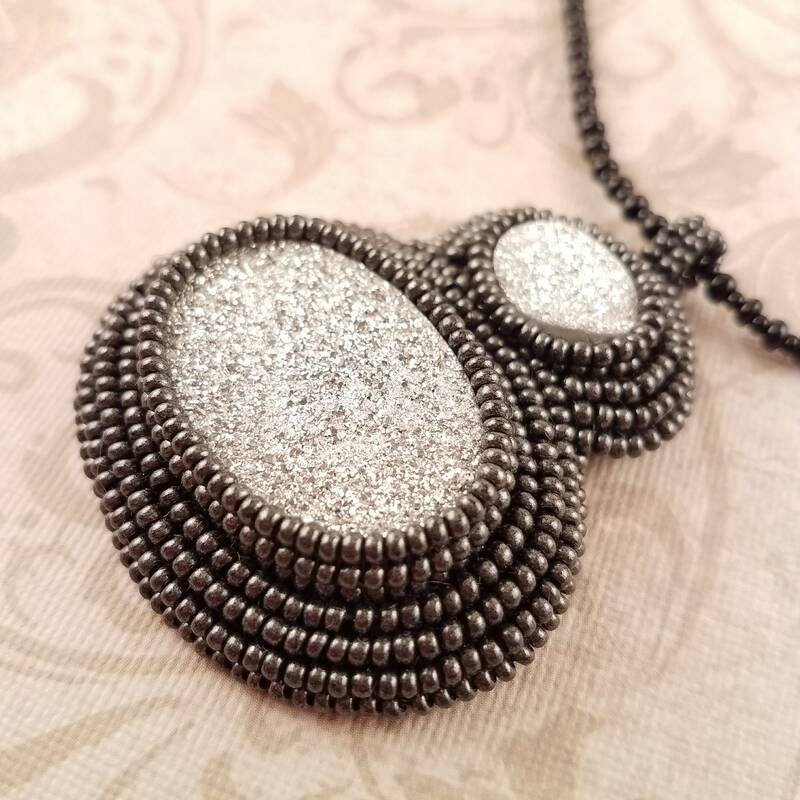 Two glittery ovals of silver electroplated druzy. 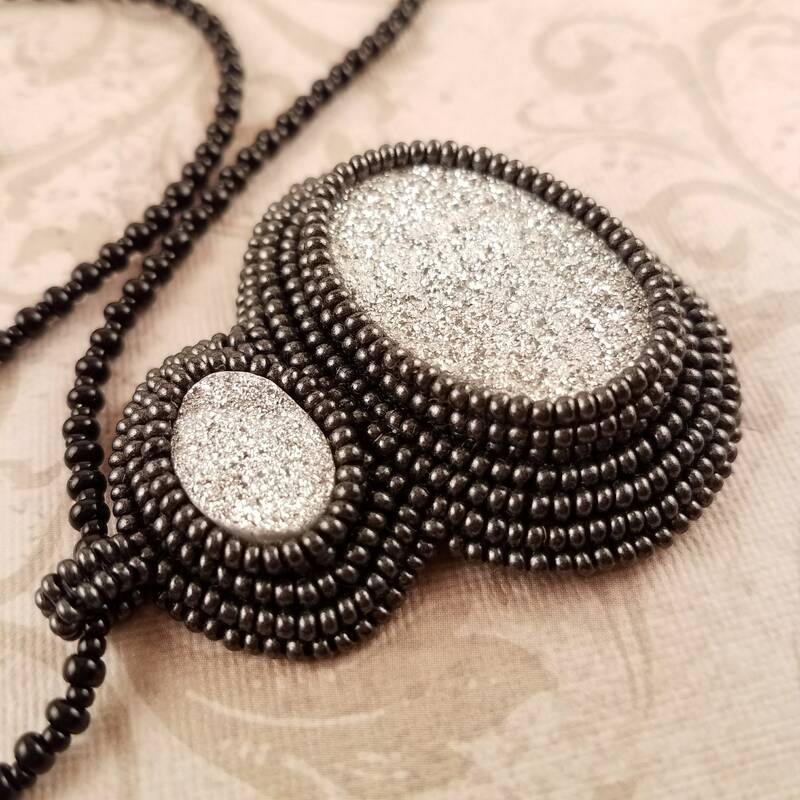 This piece has a lot of texture and stunning depth. 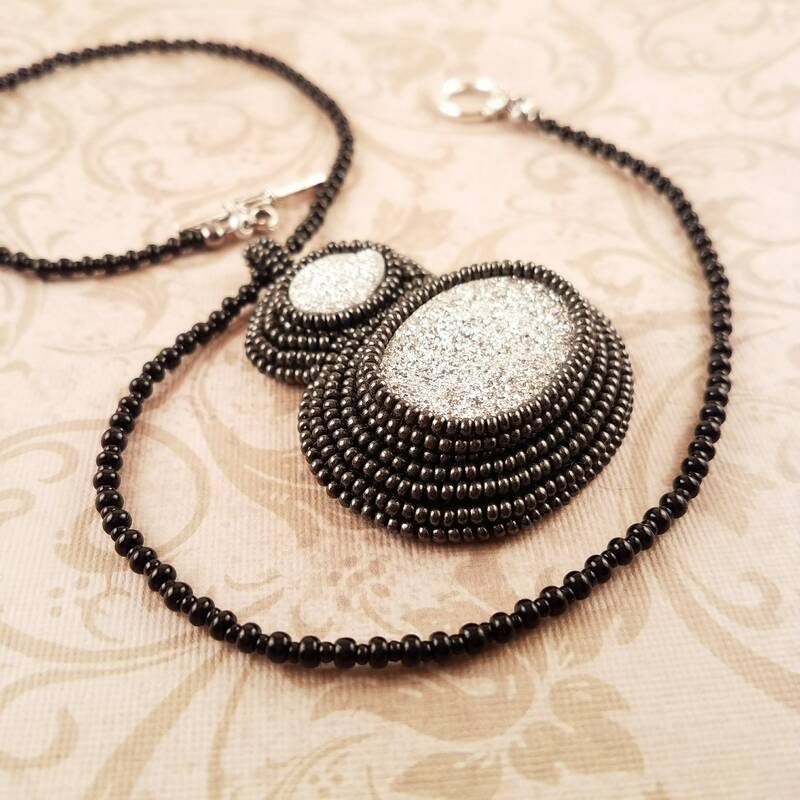 Looks great with the black dress or to dress up some jeans. 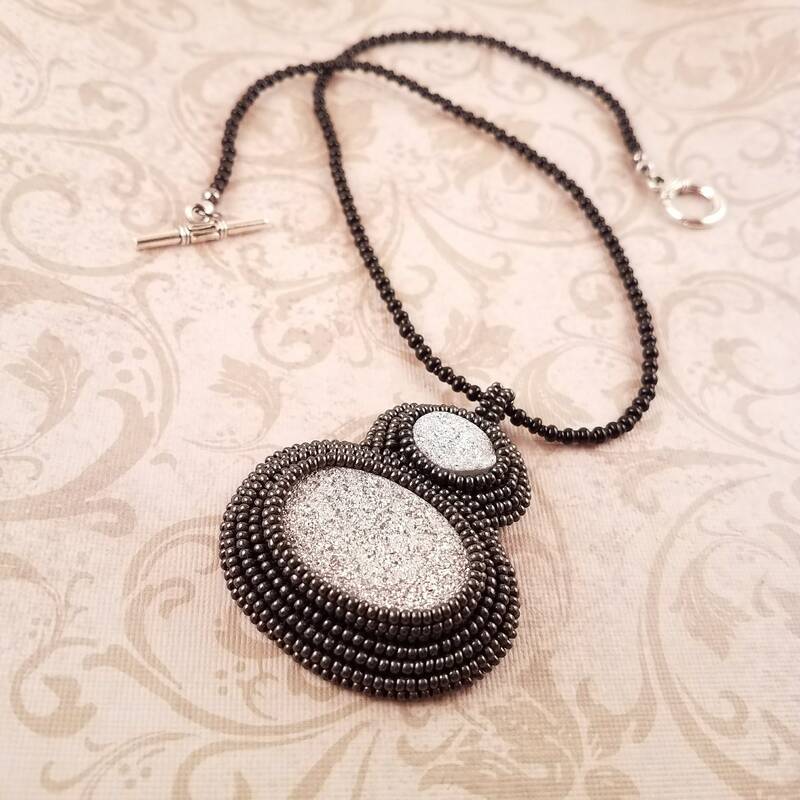 Framed with gun metal gray Czech glass seed beads. 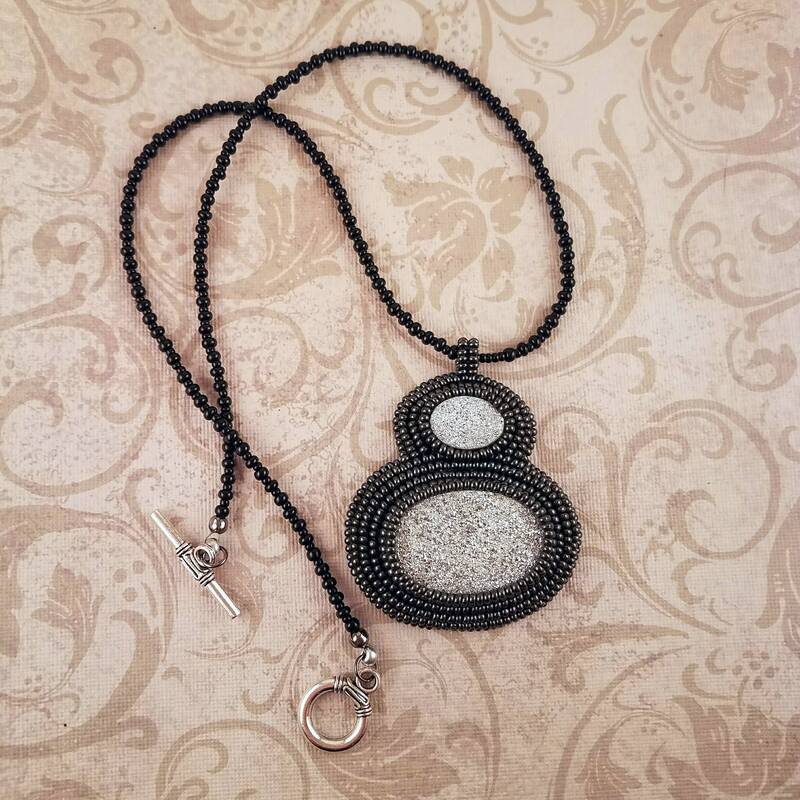 Hangs from a glossy black beaded necklace with a toggle clasp.